Earth Week is a week-long celebration of the Earth and Sustainability which included speakers, film showings, outdoor activities, and events for students, staff and faculty and community members, presented by the Student Sustainability Center, and in collaboration with countless student groups on campus. 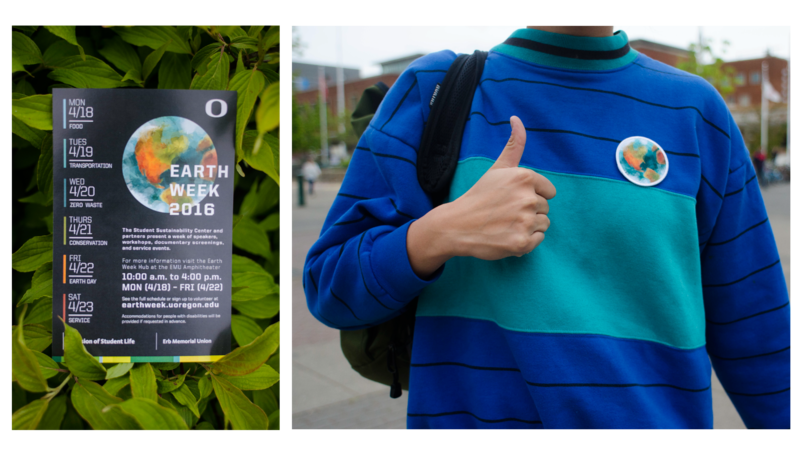 In partnering with other campus groups, Earth Week 2016 was a celebration that enabled people from all over the University of Oregon to get involved. We took last years design and went with a similar theme— a bit rustic and textured, but also futuristic and modern to represent nature and sustainability, as well as the practice of celebrating Earth Week in the spirit of preserving the Earth for future generations. 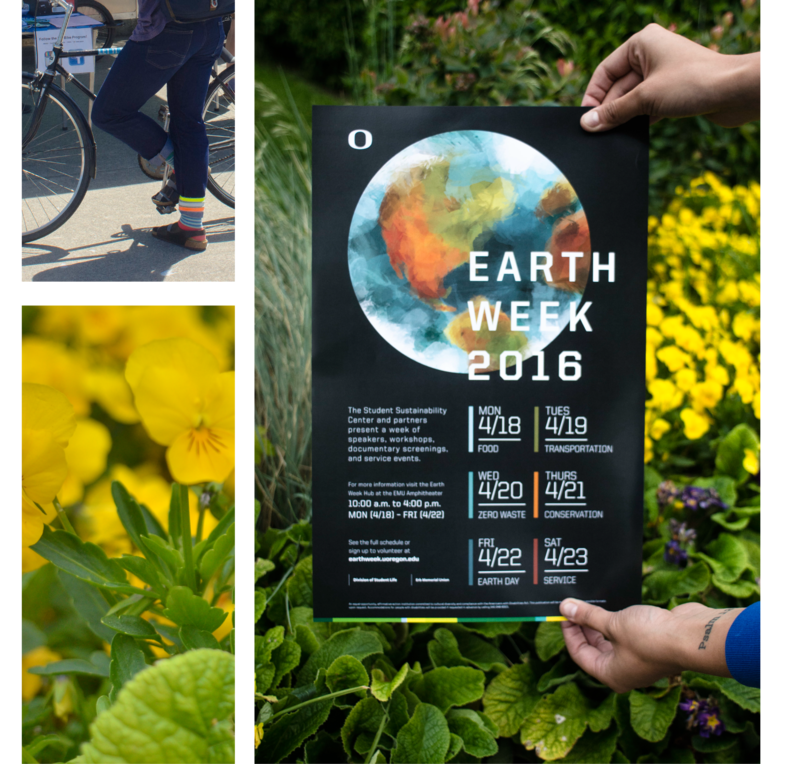 Earth Week 2016 sought to move away from classic “sustainable” imagery and highlight the Earth itself, as the blue marble floating in space that both invites us to admire and encourages us to protect the it.